Stick to it, stand on it, hook it, the Ozone lets you do it all. 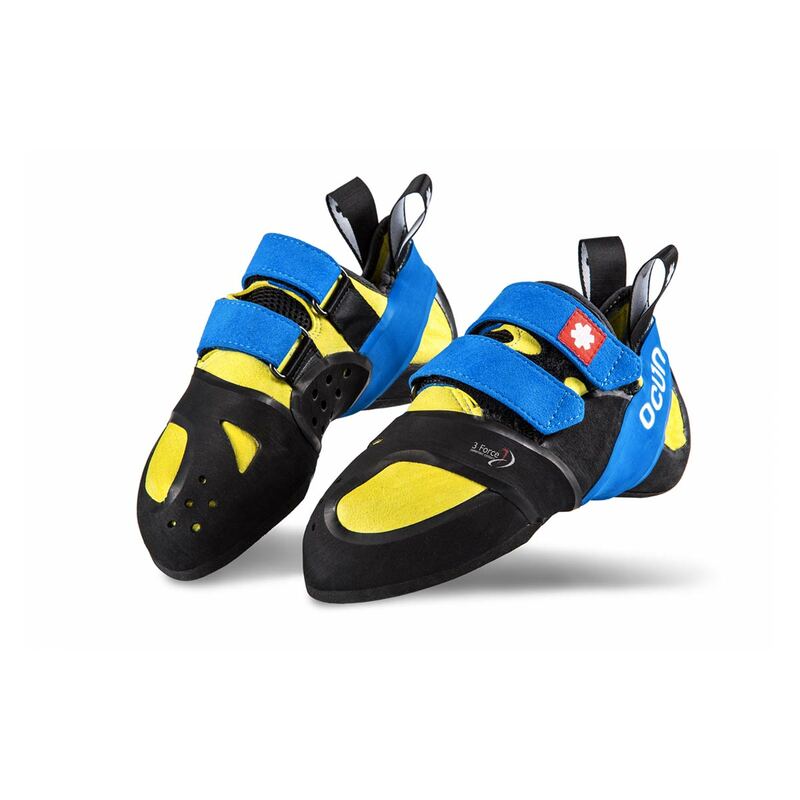 This is Ocun's all-round performance shoe for climbers who like to do a bit of everything. Utilising the 3-Force system that prevents the shoe from twisting when stood on edges and a highly asymmetrical last, the Ocun Ozone excels on technical face routes with lots micro-edges, but performs just as well on the overhang. A downturned profile, medium-stiff midsole, and the high-friction Vibram XS Grip2 sole allow you to hook and stick onto steeper holds and perform technical manoeuvres like toe-hooks. All of this with support and comfort for longer climbs. Ocun's signature seamless heel cups enhance comfort in the heel area without any annoying or painful hotspots for focussed climbing performance, and the synthetic microfibre upper won't stretch at all so you have the exact same high-performance throughout the entire lifespan of the shoe. 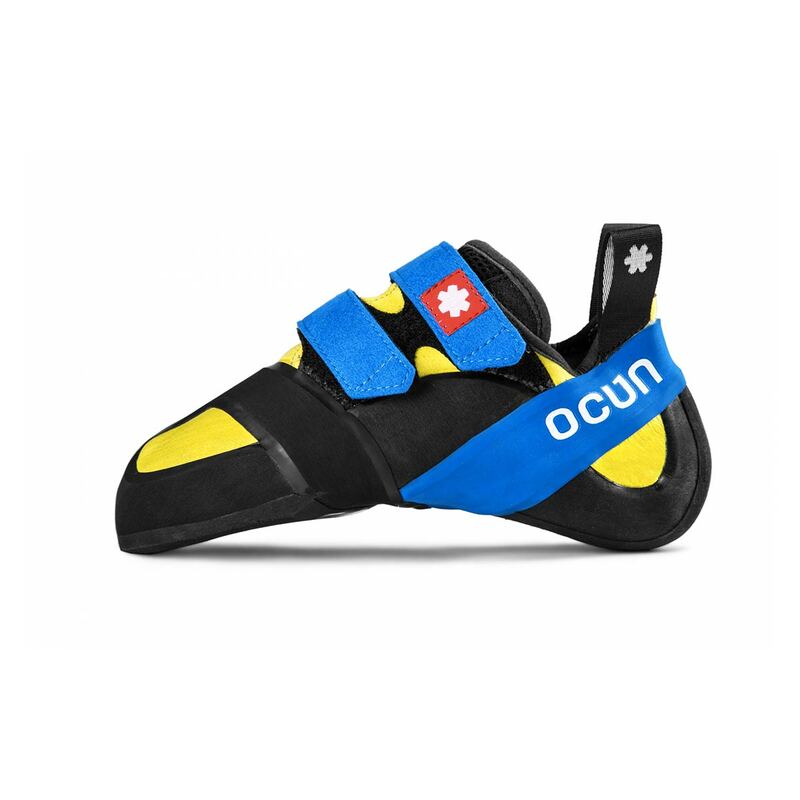 Ideal for the intermediate to advanced climber seeking a performance-orientated all-round shoe for sport climbing and bouldering, the Ocun Ozone is more aggressive and more powerful for versatile performance on all types of harder climbs. Ocun's 3-Force system is their patented shoe technology that enhances stability whilst stood on edges. This system provides precise pressure distribution contributing to a higher torsional stiffness and resulting in perfect balance on the tiniest footholds and edges. 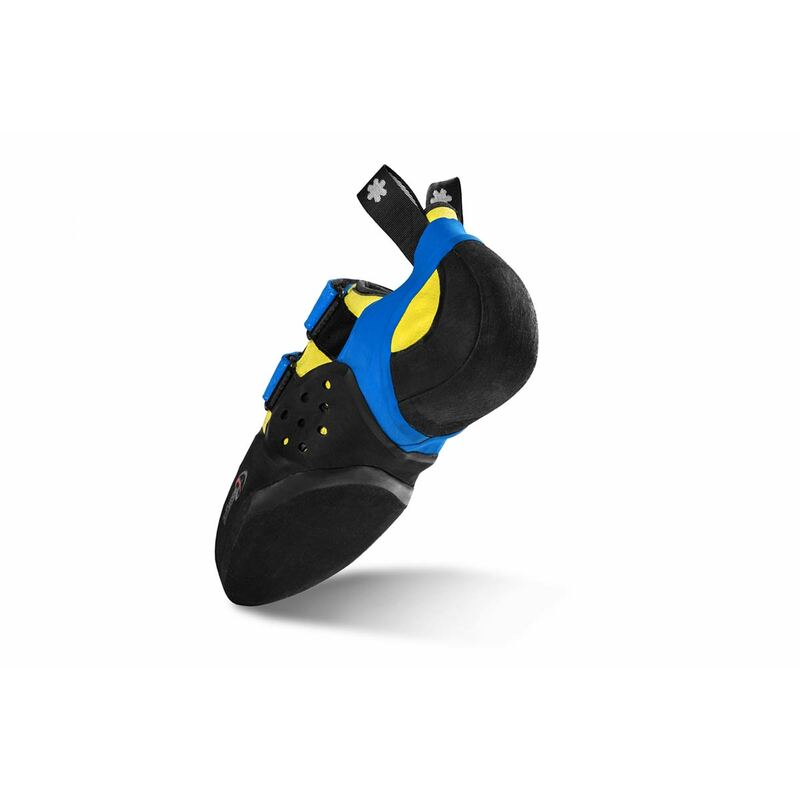 This is an all rounded shoe, for bouldering and lead climbing. There is a slight downturn, which is amazing. The heelhook is one of the unique feature as it fits like a glove. The only downside of this shoe is its toe area durability, it weared out after a year and a half of climbing.